The first forklift manufactured was an electric unit. 15 years ago, 35% of the sit-down counterbalance forklifts sold in North American were electric. Today, nearly 70% are electric drive units. The key objections to acquiring electric forklifts are no longer valid. 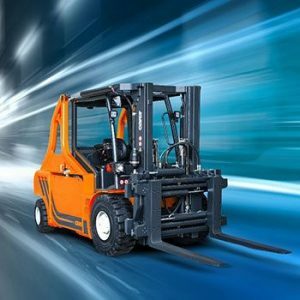 That is, performance, battery run time, all climate and weather operation, and acquisition price as the Carer electric forklifts meet all operating requirements for most applications. Once operators allow themselves to become accustomed to operating an electric forklift, it’s their preference going forward. No operators ever prefer to return to operating an internal combustion machine. Choosing electric makes you a market leader, driving smart solutions into your organization.